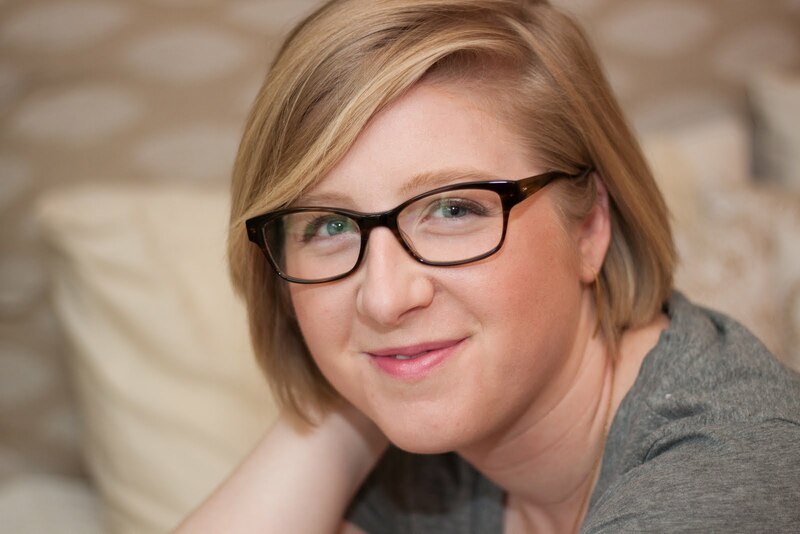 About a month ago I had a Jamberry Party to celebrate my 30th birthday. I was looking online at all the amazing designs, then I thought why don't I have a party? 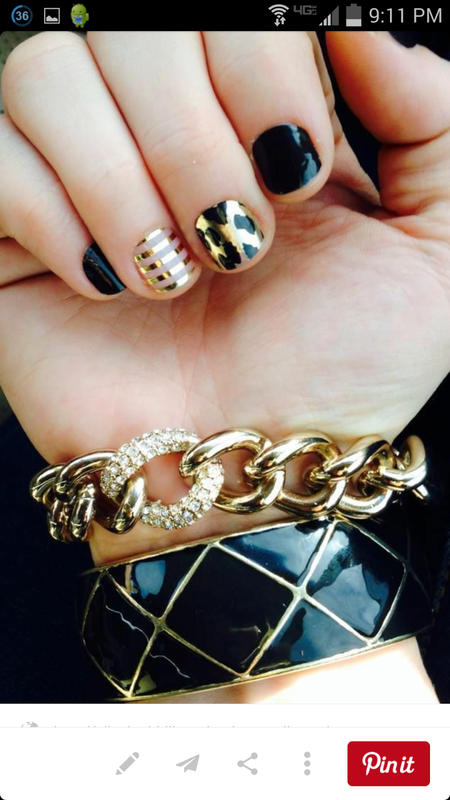 I'll get to introduce more people to these amazing nail wraps and get a discount on the designs I'm loving. Now that it's been a few weeks and I've gone through a few sets, I wanted to give you my honest opinion on the wraps and their application process and subsequent wear. 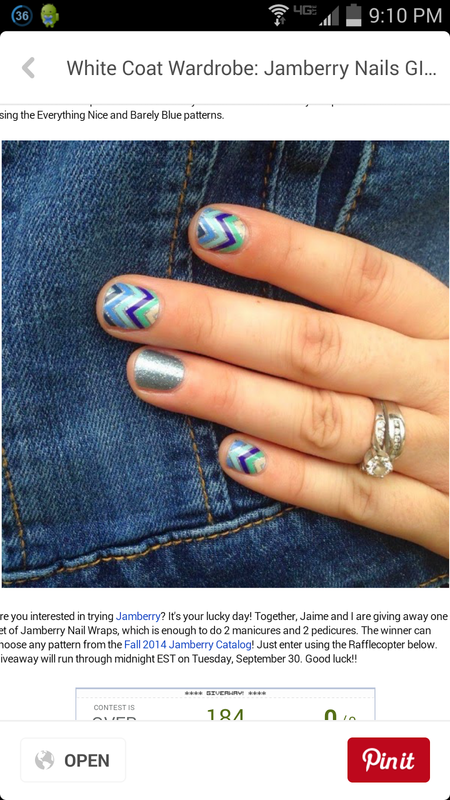 First, what are Jamberry wraps? 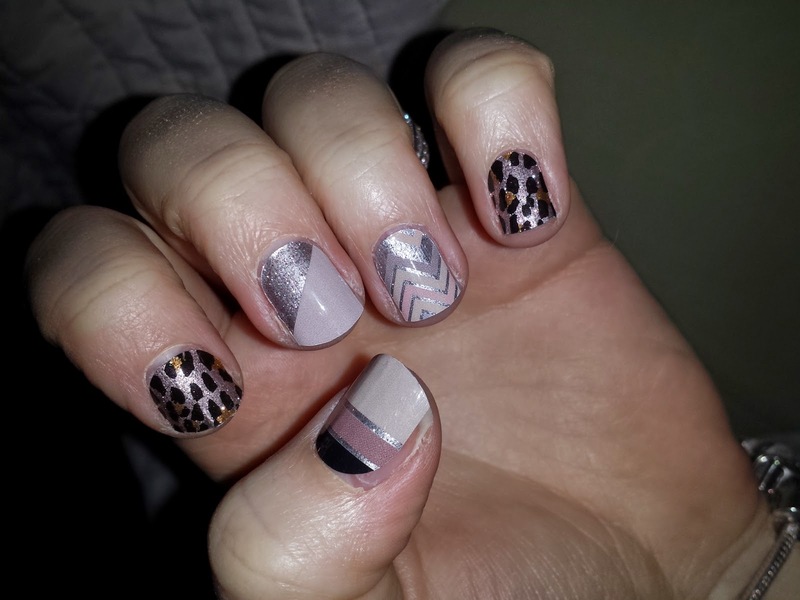 They are similar to Sally Hansen and OPI style nail decals, but they are applied with heat and pressure. The website says that a manicure can last 2 weeks and a pedicure can last 4+ weeks. They have a variety of solid, designs and patterns that can be applied to bare nails, acrylics or gels, and even on top of polished nails! Below are a few unique nail combinations I like. The application process seems to have a lot of steps, but once you have them all down it flows pretty nicely. This last set I applied in 20 minutes! 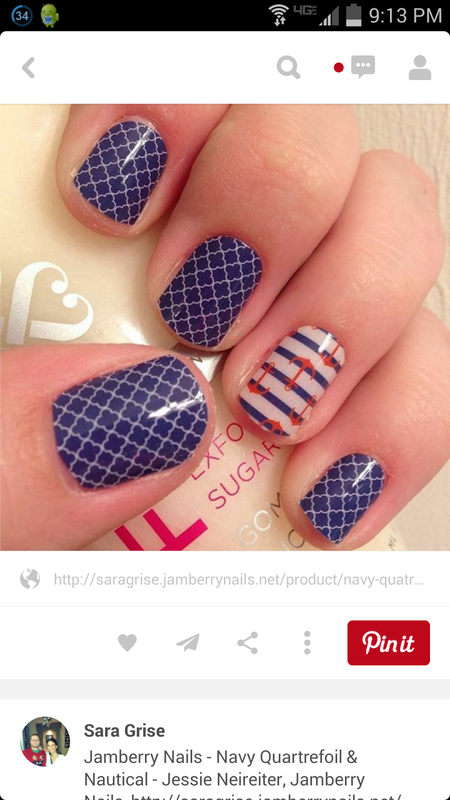 Prep nails by using the rubbing alcohol on each nail and let them air dry. Then push down all your cuticles, this is more to ensure you have the most available space for the wrap to adhere to your nail. The next step is to select your wrap size. This is key! 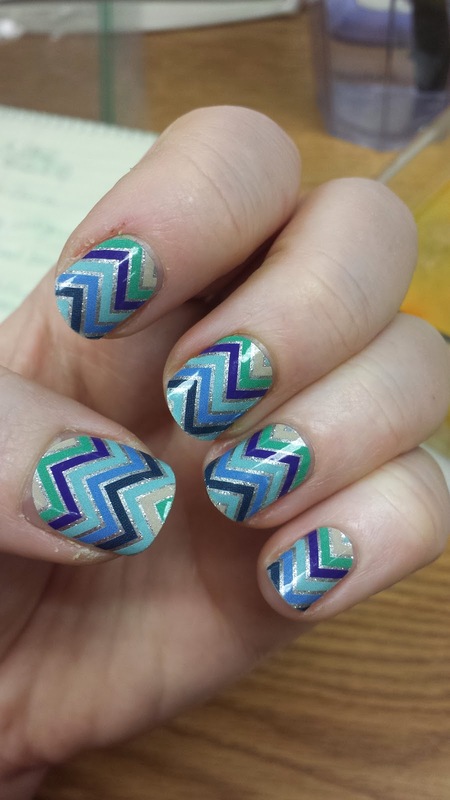 You don't want the wrap to be too large for your nail, so when it doubt, go smaller. After you have selected your wrap, cut it in half and pull it off with the tweezer. Heat is for 5 seconds. 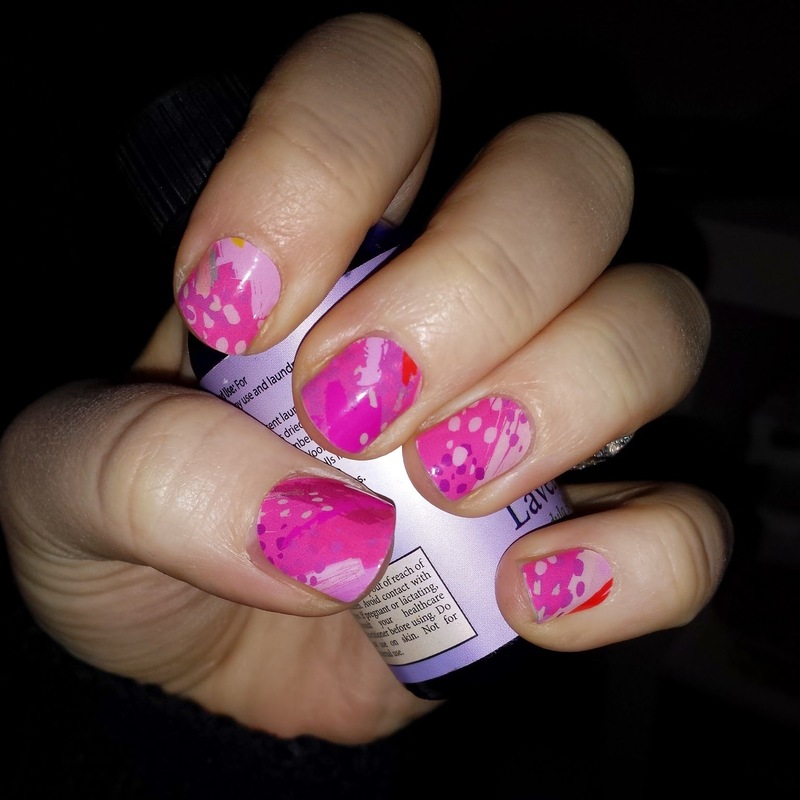 Apply it to your nail and put some pressure on the entire surface (watch for bubbles!). Heat again for a few seconds and add more pressure, especially around the edges. I use my cuticle pusher to press down around the outer edge. Then repeat! 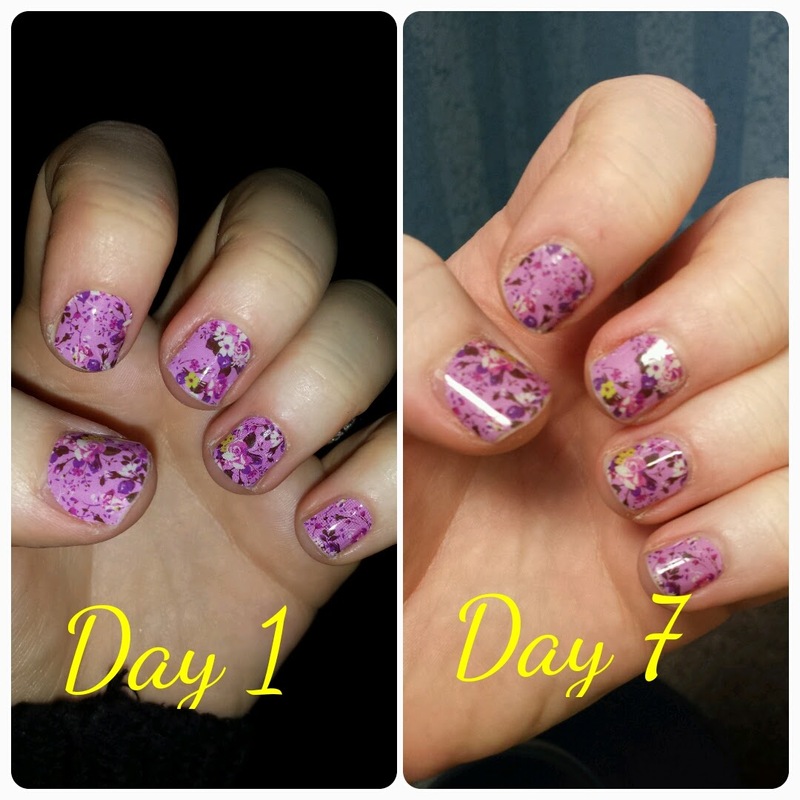 I have had good success with the wraps when places on bare nails. Last week, I put some over polish, but they were move around within a few days, so I eventually took them off. 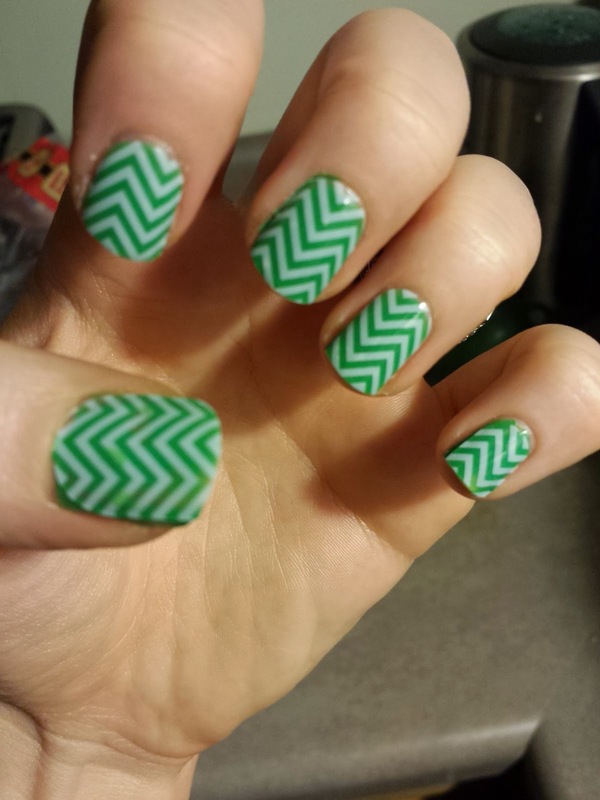 I think I wasn't waiting long enough for my polish to dry before applying the wrap. I will try that process again soon. Here are all the manicures I've done so far! So my overall opinion is that I love the print selection you get (Spring/Summer catalog now available! ), but watch your application process over polished nails!